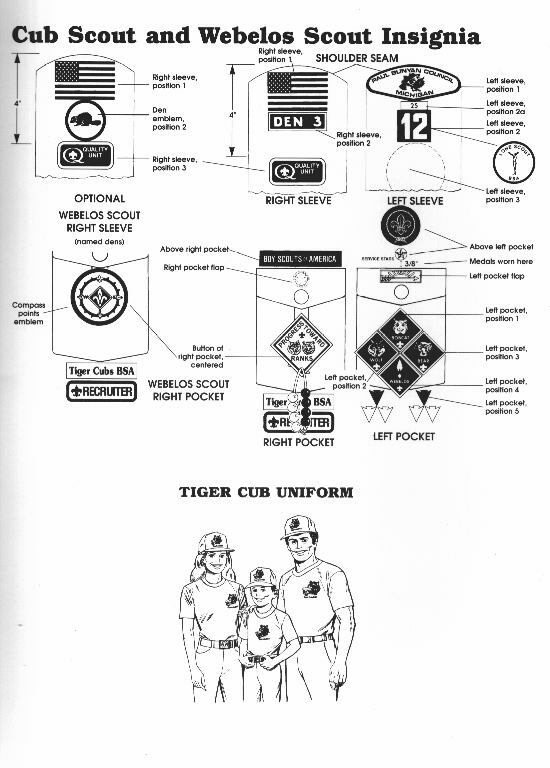 Shirt—The official uniform shirt is available with long or short sleeves and has button-flap pockets and "Boy Scouts of America" lettered in gold above the right pocket. - **We reccomend that you purchase a short sleeve shirt, with "room to grow." 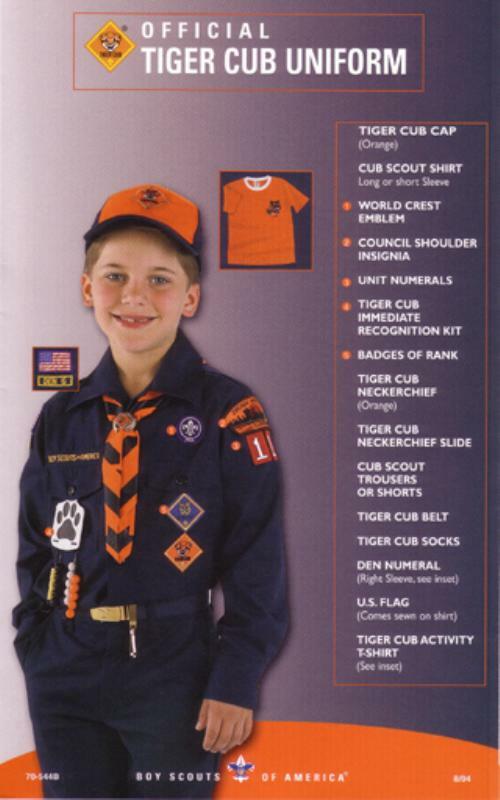 Neckerchief- Triangular neckerchief is orange with navy-blue trim for Tiger Cubs, gold with navy-blue trim for Wolf Cub Scouts, light blue with navy-blue trim for Bear Cub Scouts, and plaid for Webelos Scouts. 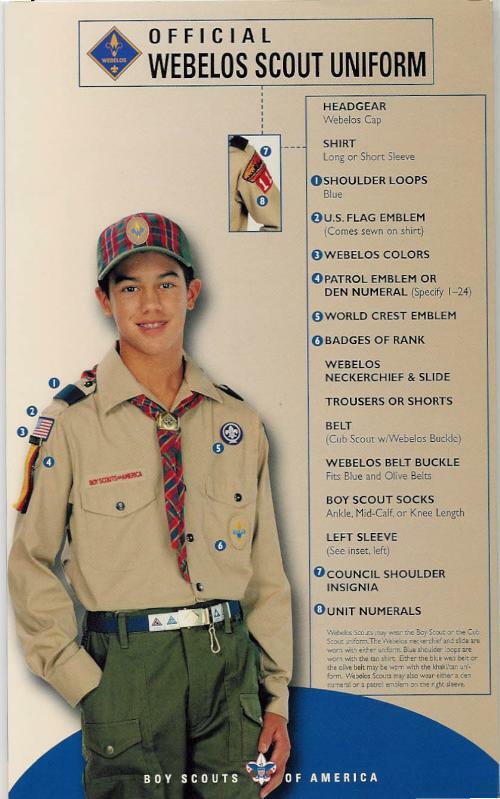 Official BSA neckerchiefs are the only neckerchiefs that boys should wear. Packs should not make their own pack neckerchiefs. 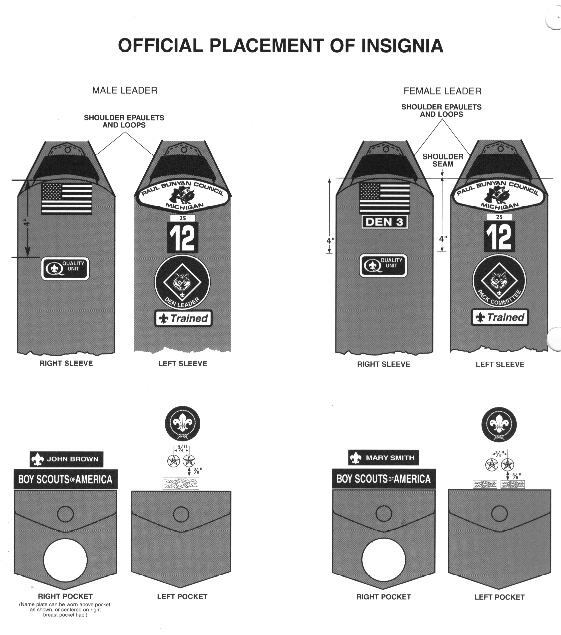 Pack T-Shirts are ordered through thepack. 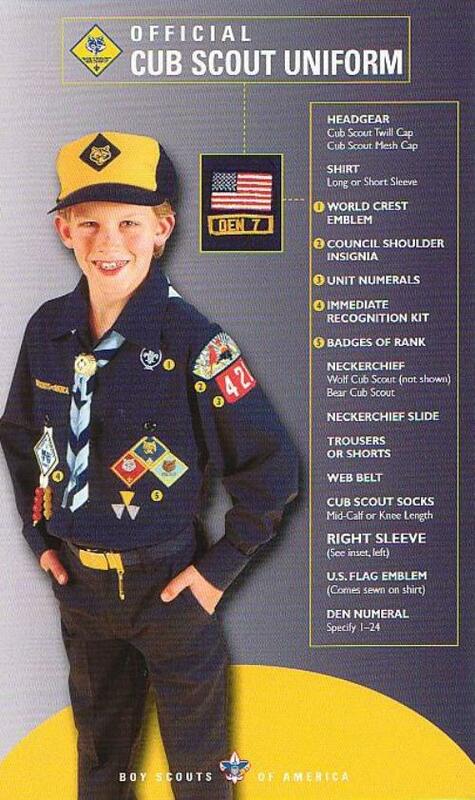 The fact that youth and adult members of Scouting wear a uniform doesn't mean that we're all alike. Wecome from different ethnic and racial backgrounds. We have our own religious beliefs and political views. We are each individuals with our own family traditions and loyalties. So the uniform is not intended to hide our individuality. But it is a way we give each other strength and support. It is abond that ties us together in spite of our differences. It is a way of making visible our commitment to a belief in God, loyalty to country, and to helping other people.